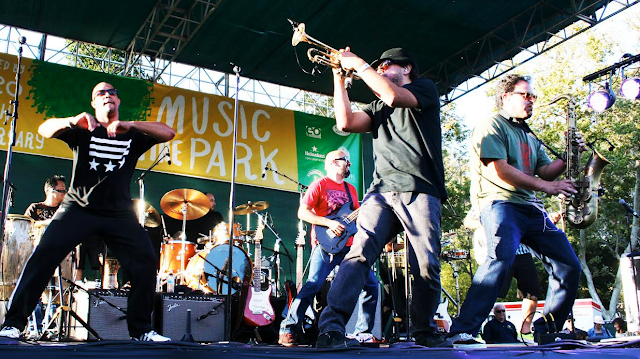 SAN JOSE – San Jose favorite Ozomatli returns to Music in the Park for an encore performance this Aug. 4. Ozomatli is touring with its eighth album since the band burst on to the scene with its multi-genre sound. There’s also been multiple Grammys along the way for this Latin, hip-hop, rock, salsa, jazz, funk, reggae band. Last time Ozo, as fans call them, came to Music in the Park, the park was full … and rocking. The show begins at 5:30 p.m. with Sonido Clash, a San Jose collective exploring traditional, modern and emerging sounds of the Latino diaspora.